Very friendly and helpful host, very good kitchen equipment. Good kitchen equipment, air conditioning, functional wireless Internet connection. 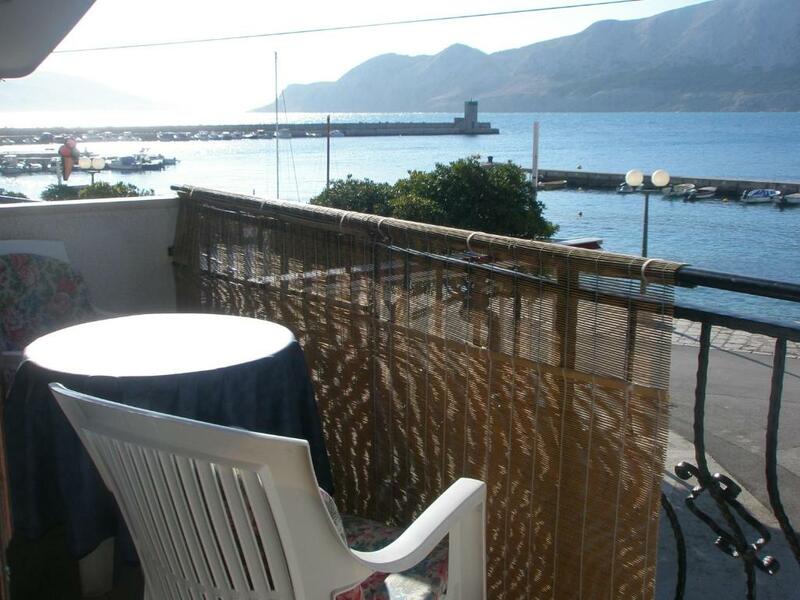 This apartment is in nice area of baška harbor, wich is lovely place with stylish restaurants and cafes. There was functional wi-fi connection, air-condition and good shower. The rooms are not exra large, but it is logical given that you are in historical part of town and space was enought for us. Baška is nice place (all Krk island is) where you can find a lot of entertainment like good food and Ice cream, vine, beer, coffee etc., sea is clean and beach (that long one) is good for children with sand in the water (The bank is made of stones). Great location, everything is clean, comfortable, welcoming hosts. There are my best recommendations for these apartments. I'll choose this accommodation for my next trip. Beautiful and lovely view from the balcony, location very good. I recommend this place and will definitely return! :-) See you soon ! Look at the sea from the balcony. A lot of space in the apartament. Very kindly host. Lokacija apartmana je odlicna. Uredno je i vratit cemo se opet. 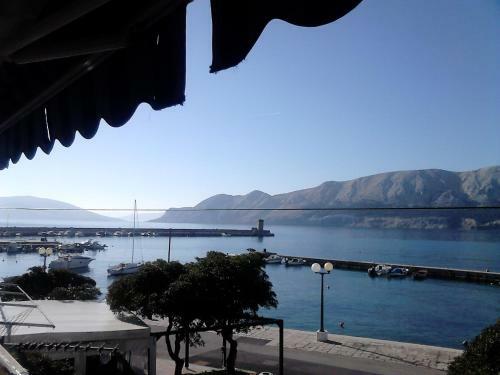 Lock in a great price for Apartments Dorcic – rated 9 by recent guests! Apartments Dorcic This rating is a reflection of how the property compares to the industry standard when it comes to price, facilities and services available. It's based on a self-evaluation by the property. Use this rating to help choose your stay! 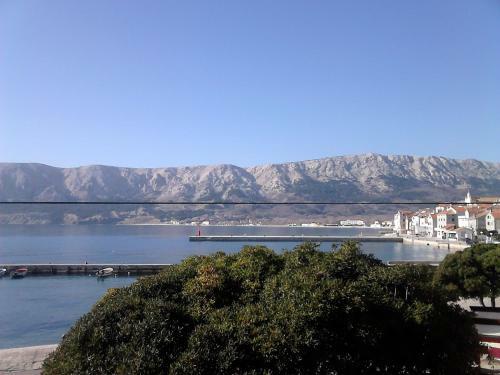 Apartments Dorcic is set within the Old Town of Baška, only 1,000 feet from the nearest beach. 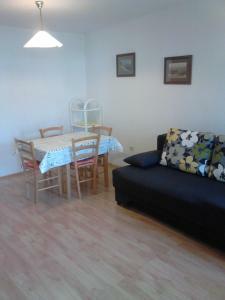 It offers self-catering apartments with air conditioning and satellite TV. Free public parking is provided. Free WiFi is available. Restaurants serving local fish specialties can be found within 150 feet. A grocery shop and bars are 500 feet away. A bakery is at a distance of 1,300 feet. Water sports facilities are available on the beach. An aquarium can be visited 0.6 mi away. A wellness center is 0.9 mi away. Baška Tablet can be seen 1.2 mi away. Baška Bus Station is at a distance of 0.6 mi. Rijeka International Airport is 28 mi from the Dorcic Apartments. 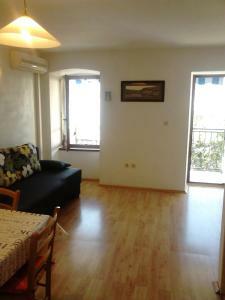 When would you like to stay at Apartments Dorcic? This air-conditioned apartment features sea view, satellite TV and a kitchen with a dining area. 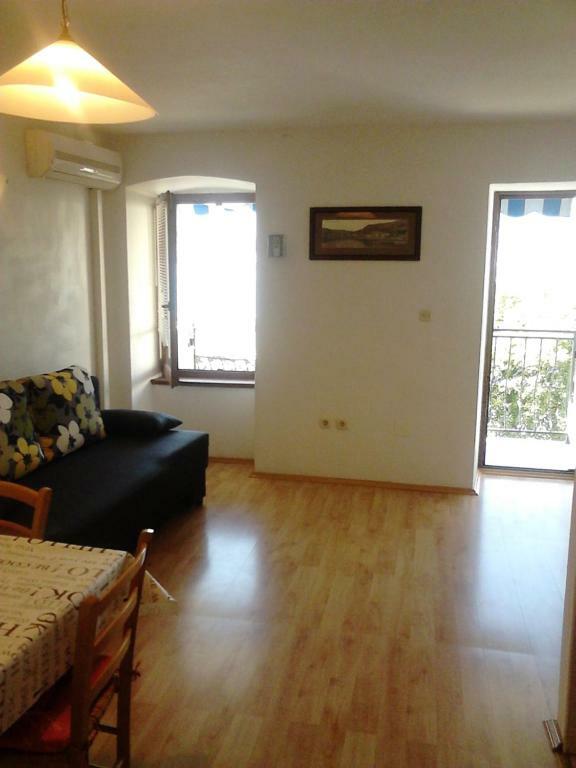 This air-conditioned apartment features a balcony with sea view, a kitchen with a dining area and satellite TV. House Rules Apartments Dorcic takes special requests – add in the next step! Please inform Apartments Dorcic of your expected arrival time in advance. You can use the Special Requests box when booking, or contact the property directly using the contact details in your confirmation. The pictures showed the apartment had a balcony, so I thought that was what we had booked, but the hosts has several apartments in the same building and the ones with a balcony were unfortunately already occupied. No balcony, noisy restaurants at night but if you close the windows the noise won't bother you anymore. We also had a feeling that not all the customers were treated equally. Cause how to explain the fact that we couldn't park our car close to the apartment just to unload the car trunk ? But it wasn't the case for the guests that arrived a few days after us (regular clients according to our host). However, I must also admit that the host helped us to transfer the luggage from private parking to the apartment which was nice of him. We had the appartment without balcony, so no comfy eating outside. No direct seaview (pic is from the top of the house, we were on ground floor). During main season it's noisy in the night. Hard to say because I am little bit interested because of a quarrel with the owner of apartment about parking place on the end of our stay there, he was very rude. What I can say for shure, there is not easy to sleep with open windows because bar under the balcony is full of people and live music until deep night (on the other side, music was pleasant for 2 parents without possibility to go out for the night live:-) and it is logical in this area). I had to use own kitchen breadboard, that one from apartment was simply disgusting (same with plastic bowl and few glasses)...compared with two other places we had been in weeks before, this one was worst about equipment (kitchen), but every important stuff was there so no problem if you are not hypersensitive.. Parking is about 300m away from the apartment and you have to consult your arrivals and departures with your neighbors if you have car next to the wall, because cars are parking in one row behind each other (also no problem for us, even the owner helped us with our luggage on our arrival, so maybe it´s just a shame of his behaviour on the end of our stay...).